The Gouldian Finch, also known as Lady Gouldian, is a medium sized finch that is only native to northern Australia. 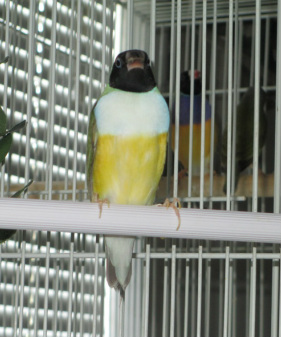 Although Gouldian finches are popular as pets around the world they are considered an Endangered Species. It is believed less than 2,500 adult finches remain in the wild. All The Gouldian Finches in the USA are captive born since Australia no longer allows export of their wildlife. 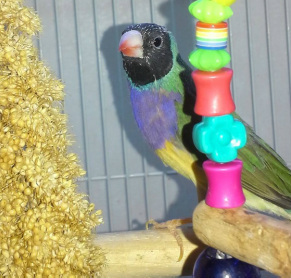 Gouldian Finches are very colorful, social & quiet little birds. They come in several different color varieties. 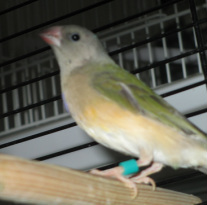 Most of the birds we sell are Juveniles! 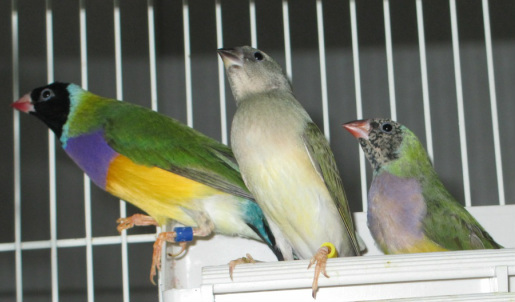 Young Gouldian Finches can take up to a 1 1/2 YEARS to molt into their final adult colors! 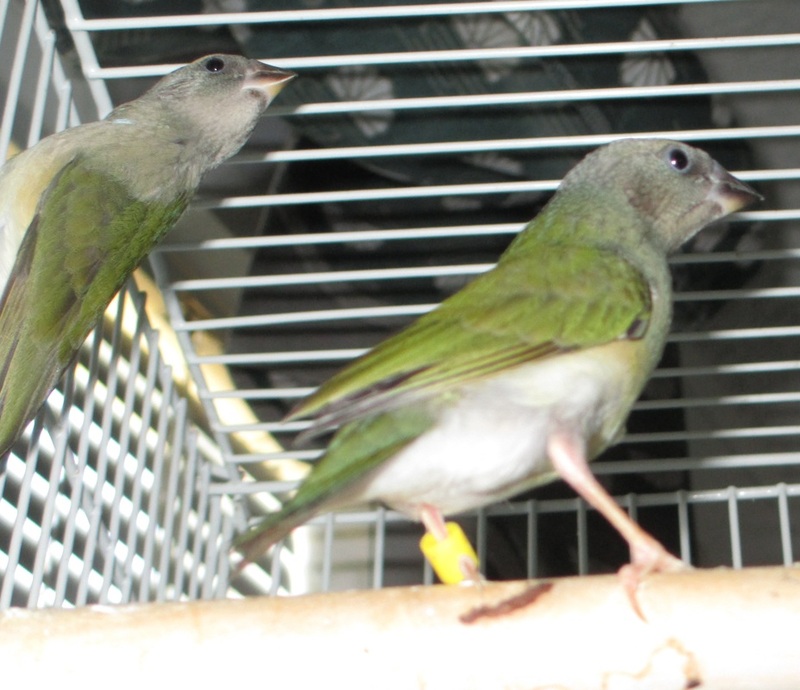 The picture above is an excellent example of the color phases that Goudian Finches go through in the 1st year of life. 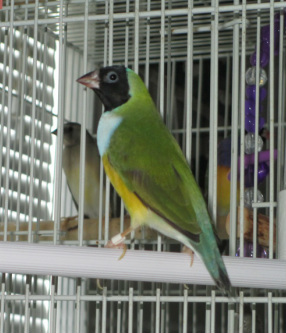 Birds are available for pick up in San Antonio, Texas. Sorry, at this time we do not ship but we can occasionally help you arrange transport! We have a few juvenile White Breasted Babies ready! These Babies, pictured below, are too young to accurately tell the gender. We have several different age groups of Purple Breasted Babies.